Boca Raton is a city in Palm Beach County, Florida first settled in 1895 and incorporated in May 1925. Boca Raton is known for its affluent social community and high income demographic. Boca Raton is a popular location for national and global corporate headquarters including Office Depot, The GEO Group, American Media, FriendFinder Networks, Vitacost, BMI Gaming and hotel company Luxury Resorts. In Spanish "Boca" means "mouth" and "Ratón" means "mouse". However, in old Spanish nautical terms the word "Boca" refers to an inlet and "ratones" refers to "rocks or stony ground on the bottom of ports and coastal outlets that ships cables rub against". Therefore the translation of "Boca de Ratones" is "a shallow inlet with sharp-pointed rocks that can damage a ship's anchor lines". 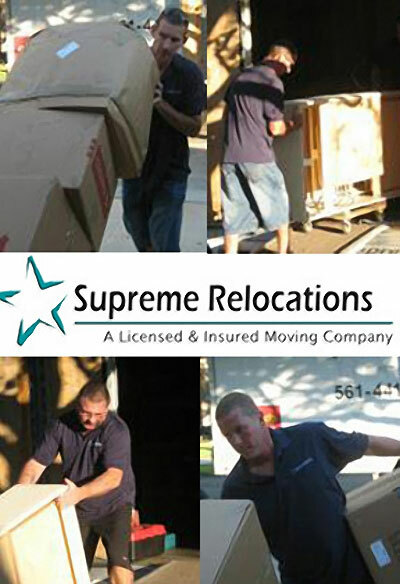 Boca Raton Moving Company Supreme Relocation are fully insured and provide a host of services that will take care of everything you need to make your moving experience smooth and stress free. We specialize in local moves in addition to providing moving services to anywhere in the USA. Supreme Relocation is an Accredited Business with the Better Business Bureau and a founding member of the Palm Beach County MVP Program. We are proud to have established a reputation for quality and reliability. Whether your move is local and long distance, we look forward to taking care of your family and your belongings.